“Mr. Darwin’s Tree,” a one-man play about the life and work of scientist Charles Darwin, will be performed in Northwestern College’s England Theatre on Tuesday, Oct. 11, at 7:30 p.m. The free performance will be followed by a reception and panel discussion. Written by noted playwright and director Murray Watts, the play stars leading British film, TV and theatre actor Andrew Harrison. Based on Darwin’s letters and journals, the play expounds on the scientist’s life, his struggles with faith, and the challenges his theories posed to traditional beliefs. It also presents Darwin’s wife, Emma, as an intelligent and articulate representative of Christian faith. Watts, Harrison and two members of Northwestern’s faculty will participate in a panel discussion after the show. The play will be performed at 20 North American college campuses with the aim of enhancing the conversation about science and religion. 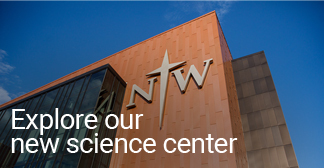 The production is sponsored by Northwestern’s science and faith fellowship, YADA; Scholarship and Christianity in Oxford, the U.K. subsidiary of the Council for Christian Colleges & Universities; and the Templeton Religion Trust.